The wine features a nose of lemon, vanilla creme and butterscotch with a palate offering notes of pineapple, orange blossoms and papaya. Characterized by its creamy texture and zesty acidity, the wine features a juicy core, beautiful movement on the palate and incredible length in the finish. Vibrantly aromatic with notes of tropical mango, lemon, florals and hazelnut. The round and creamy palate expresses layered flavors of citrus, stonefruit and baking spice over a soft, elegant finish. Straw in color, the wine opens with delicate aromas of lemon, lime, grapefruit and dried herbs. On the palate, zest of citrus flavors emerge and are accented by fresh florals and white pepper that carry through to the bright finish. Pale lemon in color, the nose features notes of pear, golden apple, lime and lychee. The flavors mirror aromas and palate evolves into a crisp, dry finish with lingering notes of lemongrass and citrus zest. 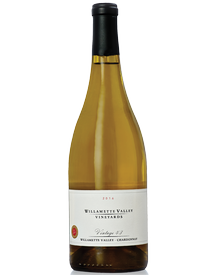 The nose opens with aromas of tropical fruit, honey, butterscotch and vanilla and unfolds into a creamy medium-bodied palate offering a beautiful textural experience that carries in flavors of pineapple and baking spice. The finish is long with balancing acidity to highlight its vibrancy and notes of peach and golden pear that linger far beyond the sip. Straw in color, the wine opens with lush aromas of peach, honeysuckle, melon and citrus. Entry on the palate offers juicy flavors of pear, apple, nectarine and honeydew then moves into a finish that is clean, crisp and refreshing.